In the last four articles I gave set-by step instructions on how to restore the door and rear side panels on a first-generation model. Those articles included how to cut and finish new wood veneer and apply new vinyl over new strong door panels. 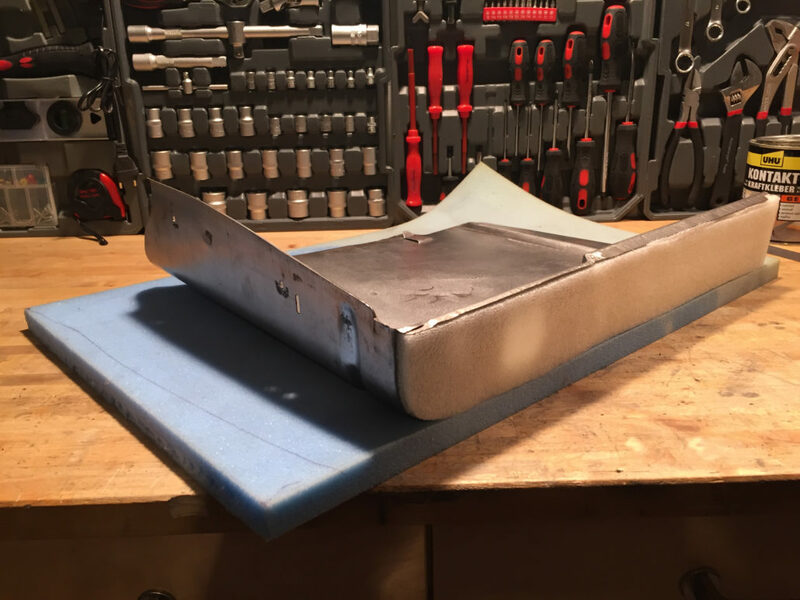 Now that the door panels are finished it’s time to restore those rear side armrests. I initially ordered the vinyl material used on the doors from smsautofabrics. com, however there are other sources listed in the Riview Classifieds. 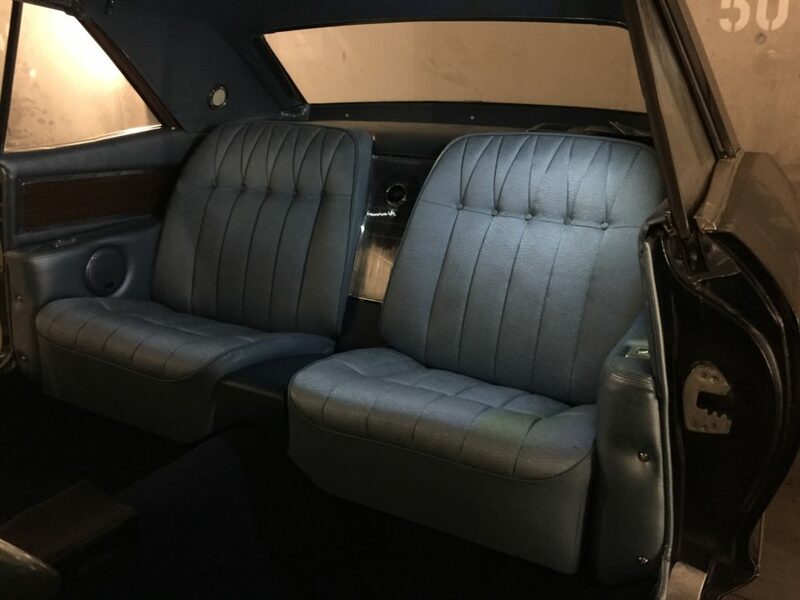 I ordered pre-cut and ready to install covers for the rear armrests from OPGI in California, although they are also offered by Clark’s Corvair Parts, an ROA member in Massachusetts. Since these ROA advertisers also carry material I could have ordered everything at the same time to insure the material matched. 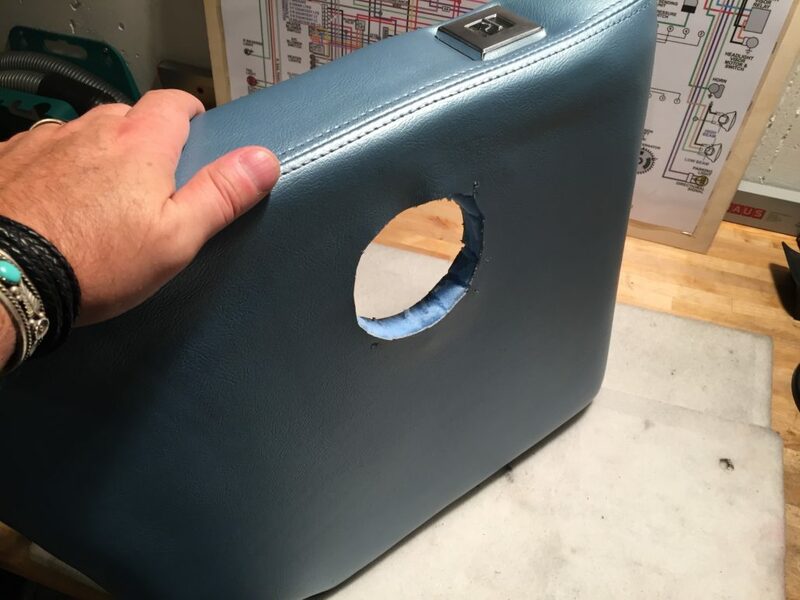 Once the rear armrests are removed, strip off the old material and inspect the metal frames. 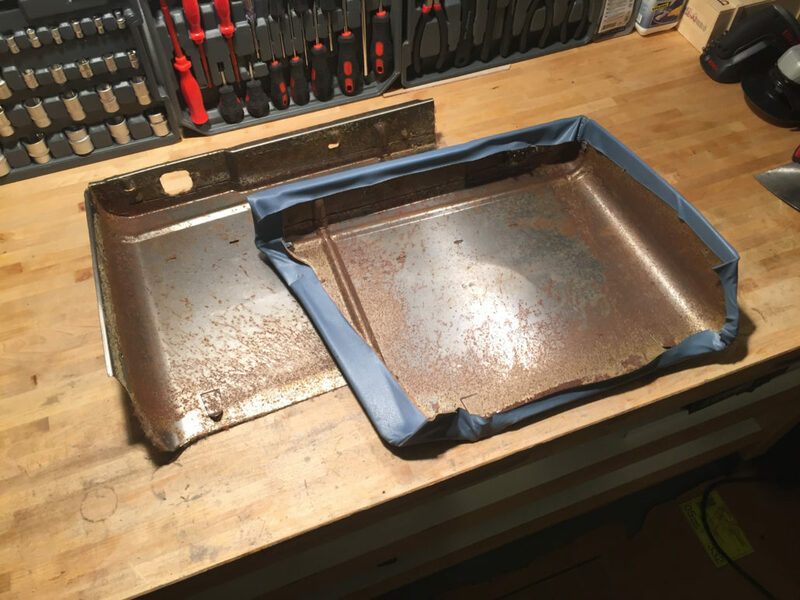 (Fig.1) Since the sheet metal on my car was quite rusty, I sanded everything and treated the metal to prevent the rust from reoccurring. I use a normal rust seal with an epoxy base. It is important to know that you can later apply glue to this sealer when you are ready to attach the foam padding. 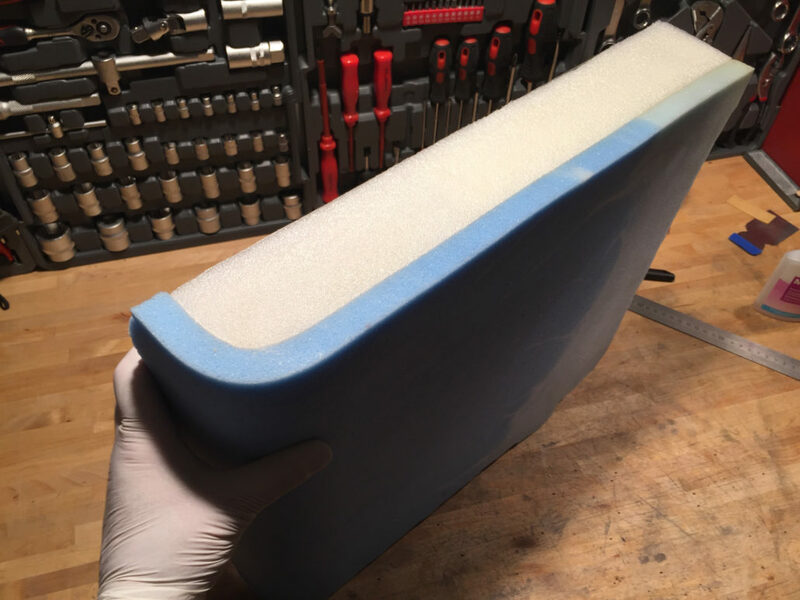 If you use a sealer with an oil base, it will not be possible to glue the foam padding on later. For padding I used foam with two different degrees of firmness. For the top of the armrest I used a firm 2mm thick form. As you see in Fig.2 and Fig.3 the armrest has two levels. For the back and lower section, I glued two layers of the 2mm foam. 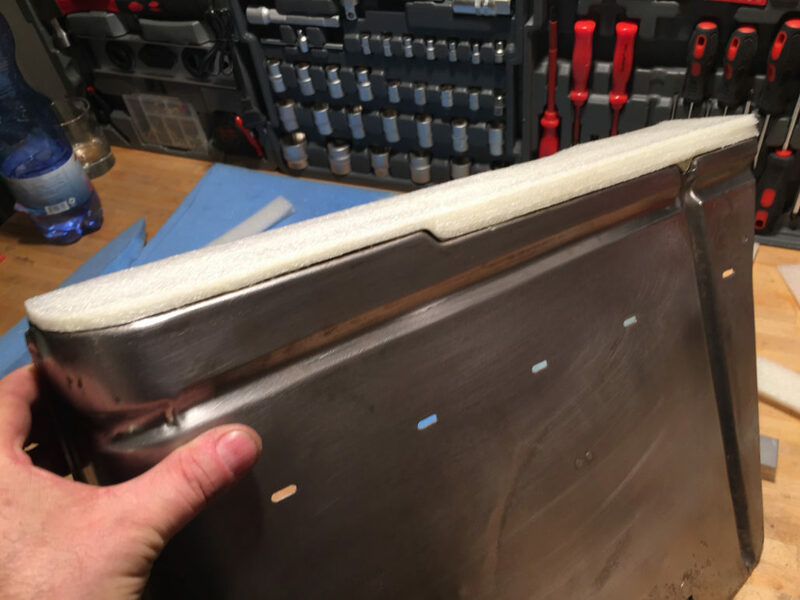 Since the raised front section is exactly 4mm higher I could then glue one long flat piece of the same firm foam along the full length of the top. For the sides I used a medium firm 5mm foam as seen in Fig.4. I planned on adding side speakers, if you don’t I suggest using a thinner foam, but no less than 3mm. My personal rule: the thinner the foam, the harder it should be. 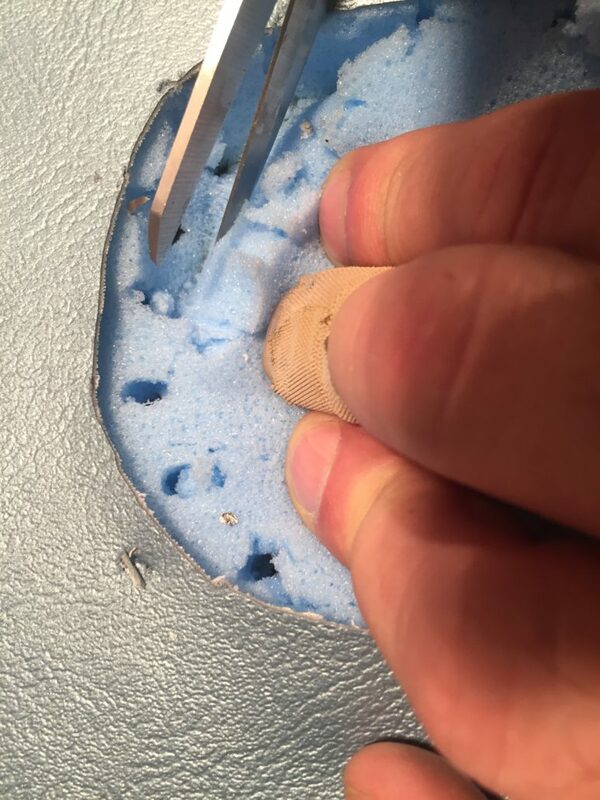 Mark the foam, cut it to size with a scalpel and glue it to the sides of the armrest. Again, I used a contact spray glue. The next step is to glue the covers. 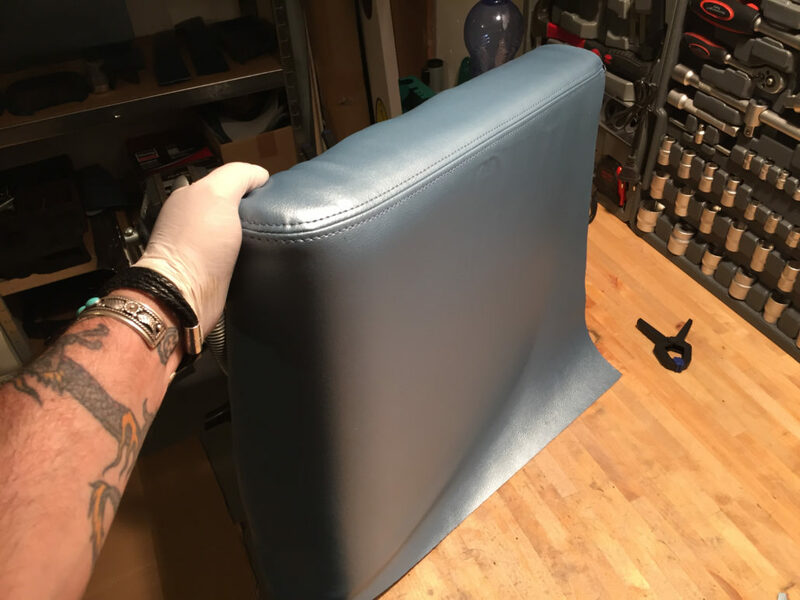 Spray the entire inside of the vinyl cover with contact spray, as well as the foam on the armrest. It is very important to do everything right the first time! Allow the glue to dry for a few moments. 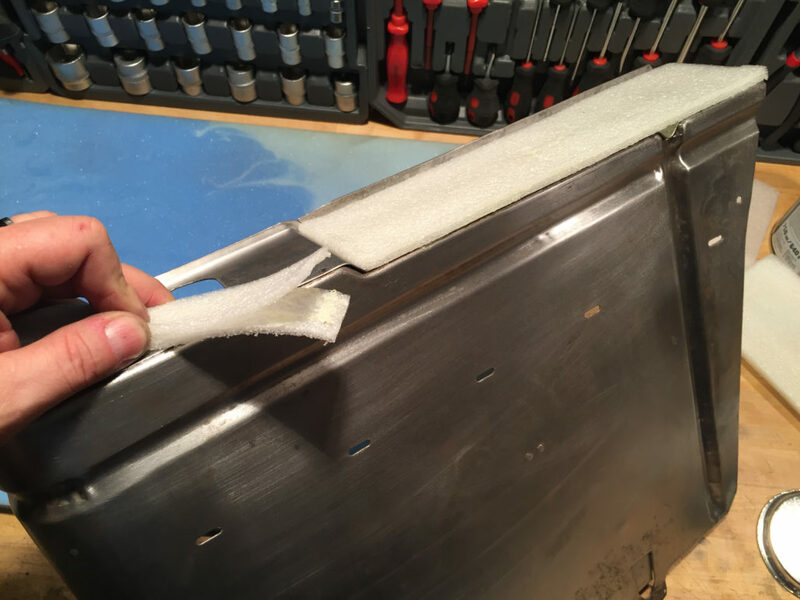 Then place the cover on the upper edge of the armrest and gently press down, making sure that the seam fits exactly on the edge of the foam. Keep the vinyl taut with one hand and gently rub the vinyl with the other, being careful to avoid bubbles. If any do occur, they can be slightly pricked with a needle and rubbed gently. Lay the excess vinyl edge on the inside of the sheet and press firmly. You may need more contact glue. Then cut out the holes for the power window switches and reinstall them as you did with the door panels. If you are not adding side speakers, as I have the armrest is completed and can be installed. 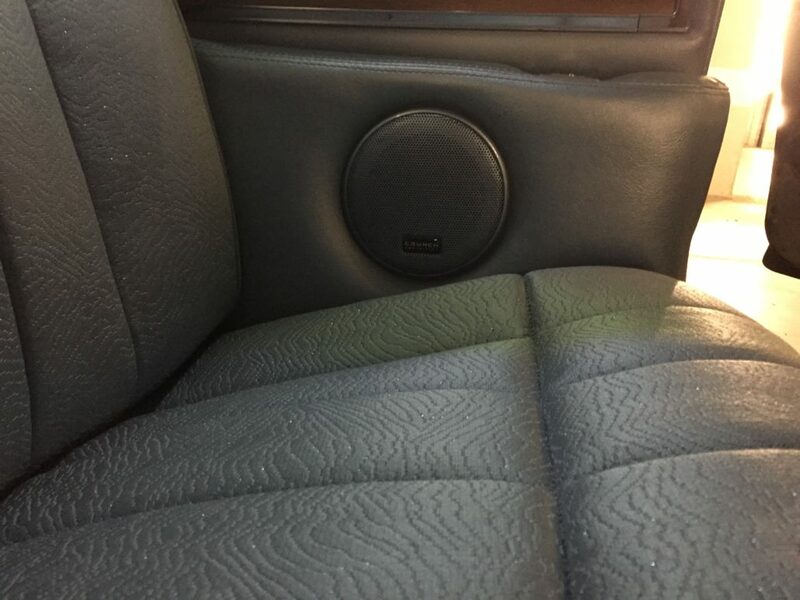 However, I took this opportunity to install 4 “ (10 cm) speakers in the side of the armrests. The cables can either be pulled under the carpet, or use wireless Bluetooth speakers! The installation is relatively easy. Mark the openings with a pen on the back and pierce them with a center punch and a hammer. Cut the circle in the front vinyl with scissors (Fig. 7) and saw the metal with a jigsaw (Fig. 8). 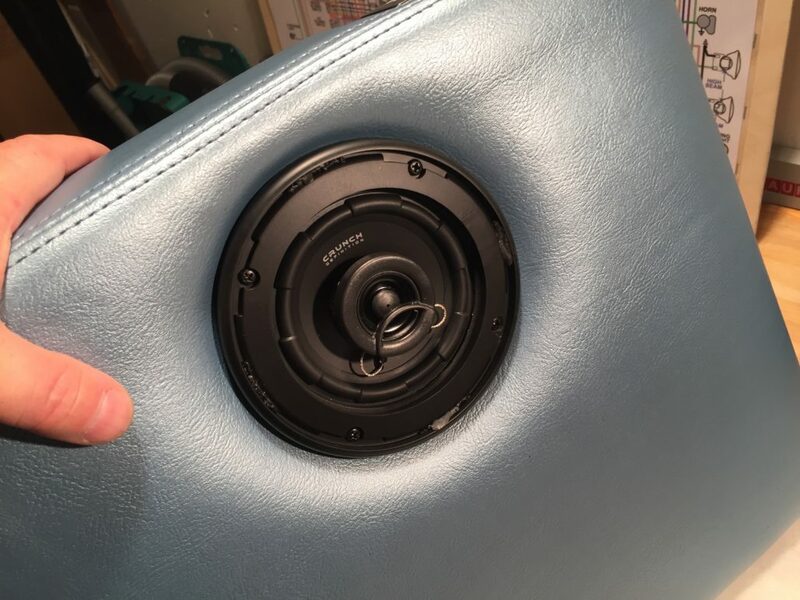 The speakers are attached with screw terminals. (Fig. 9 + 10). I painted the covers to match the material. (Fig.11). 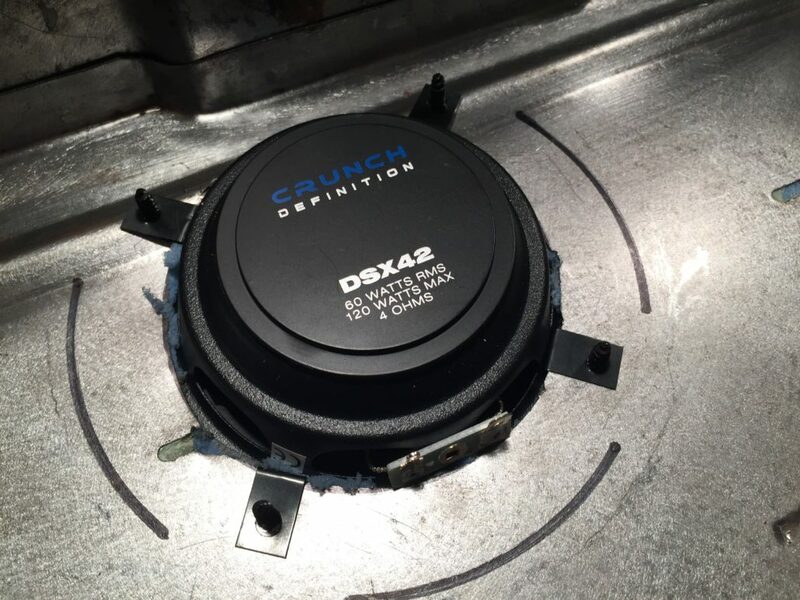 IN THE NEXT ISSUE, I will discuss the restoration of the center console.